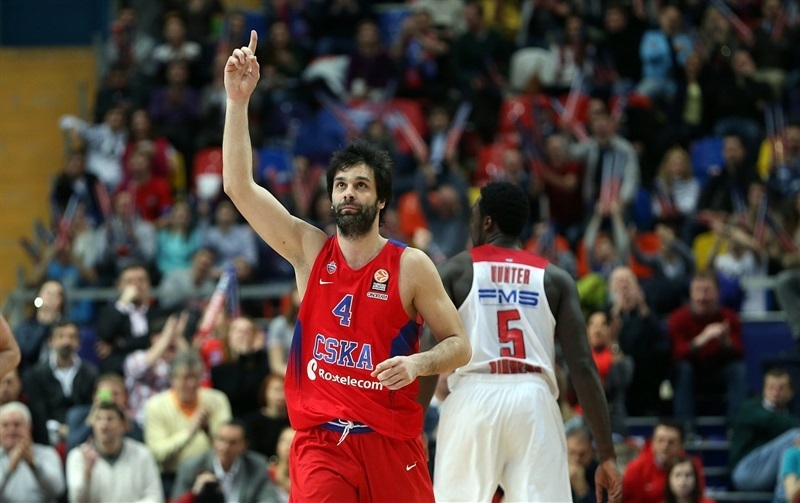 CSKA Moscow reached the midway point of the Top 16 with a share of first place in Group F after holding off Olympiacos Piraeus 92-85 on Friday in the Russian capital. 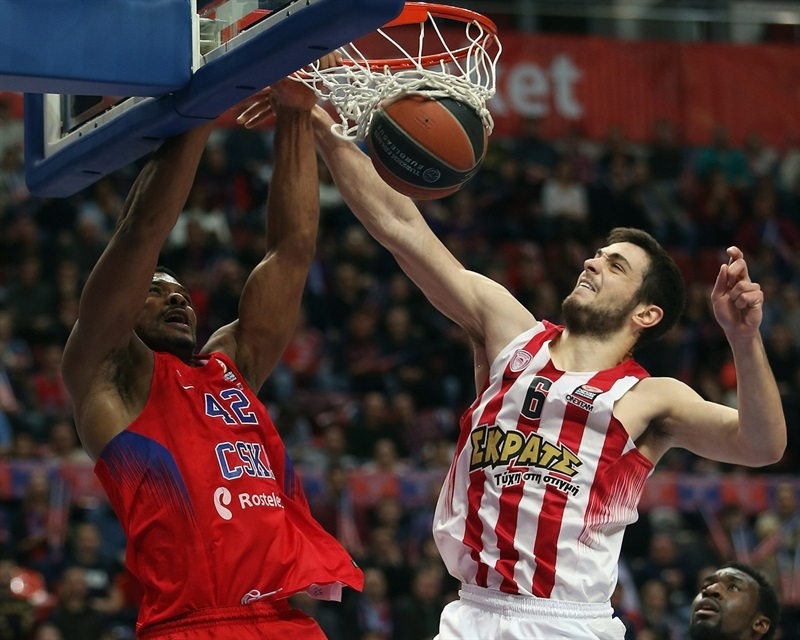 Milos Teodosic scored 10 of his game-high 21 points in the fourth quarter as the hosts held onto the lead after Olympiacos had taken a slim lead in the third quarter. 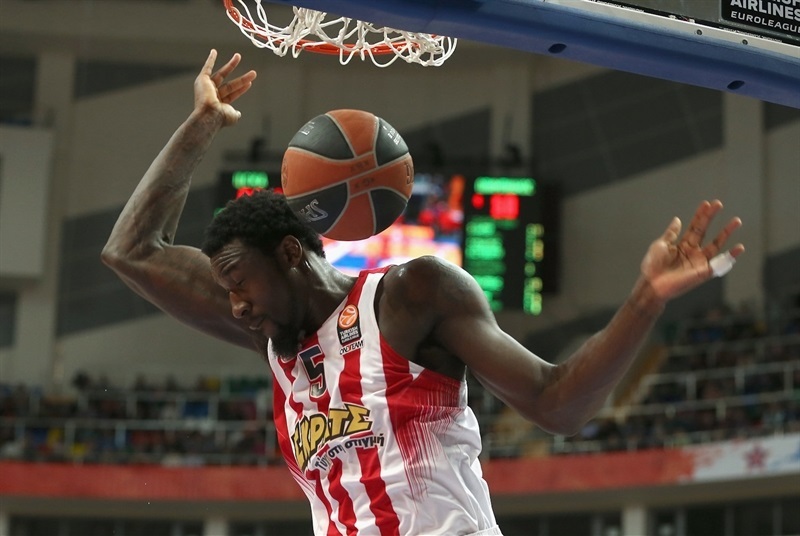 The result boosted CSKA’s record to 5-2 and a tie with Laboral Kutxa Vitoria-Gasteiz for the group lead, while Olympiacos fell to 3-4 after its fourth loss in five games and is tied for fifth place. Nando DeColo added 19 points, Cory Higgins scored 12, Nikita Kurbanov 11 and Kyle Hines 10 for the winners. CSKA looked to pull away when it built a double-digit lead in the second quarter and led 41-33 at halftime, but the visitors started the second half with 8 straight points to tie it and later took a 49-50 lead on a D.J. Strawberry triple. 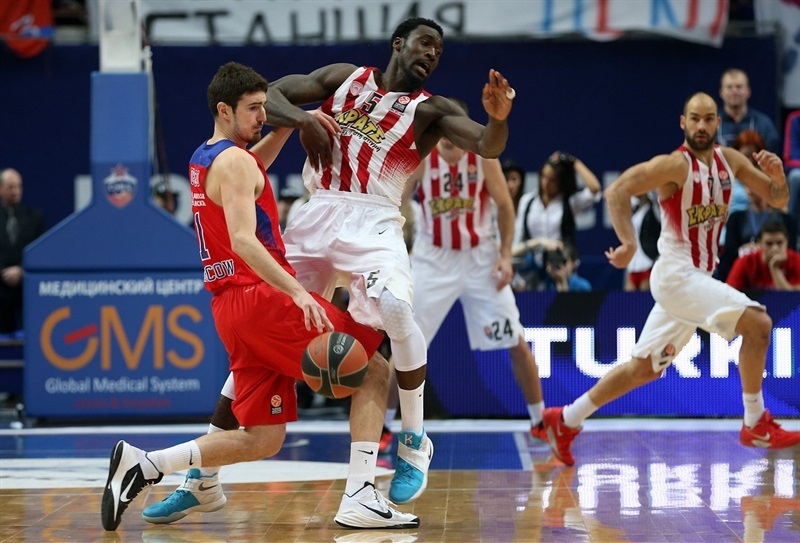 However Higgins scored the next 5 points and though Olympiacos kept it close, CSKA held on the rest of the way. 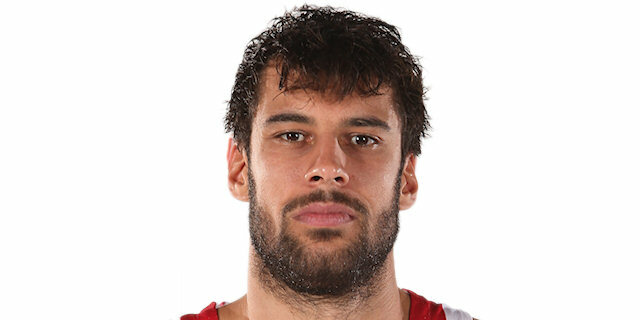 Georgios Printezis paced the Reds with 19 points and 9 rebounds, Daniel Hackett added 17 points, Vassilis Spanoulis posted 15 points and 6 assists, Othello Hunter also scored 15 and Matt Lojeski 10. The hosts got on the scoreboard first through Kurbanov’s three-point play. 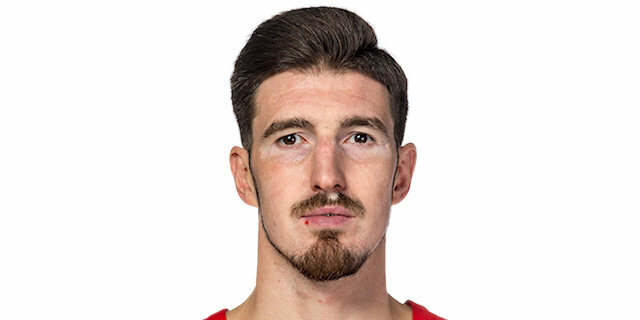 Printezis started things for the Reds with a floater. Jumpers by Victor Khryapa and De Colo made it 7-2. Nikola Milutinov’s block of Kurbanov denied CSKA another score and Lojeski capitalized on it with a triple. De Colo fed Joel Freeland inside for a slam, but just after the TV timeout, Hunter powered his way to a layup for the Reds. 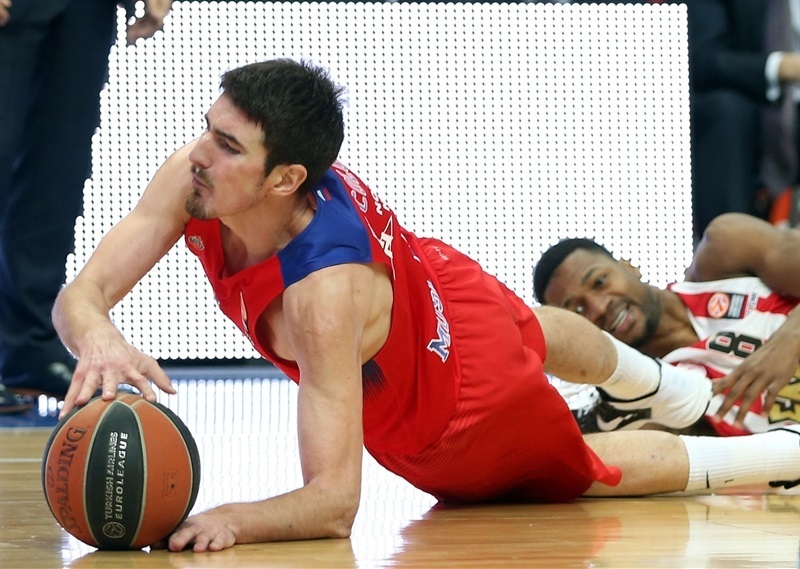 Kurbanov continued to play a major role in the CSKA attack with three straight baskets to boost the difference to 15-7. 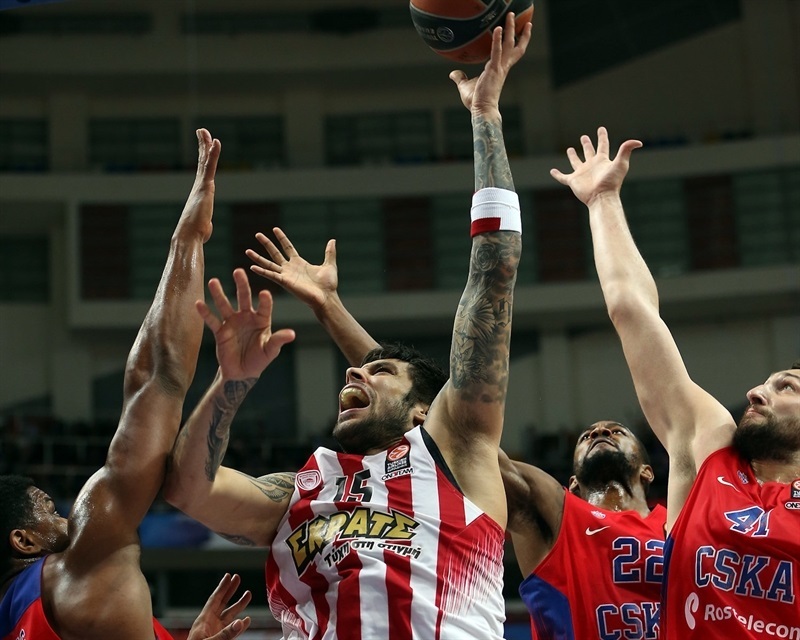 Hunter rescued Olympiacos with a put back, but Teodosic kept the hosts humming with free throws. Printezis closed the gap with a hook shot and a floater on consecutive possessions. After free throws by Hines and Hackett, CSKA led 18-15 at the end of the quarter. Hines went past Hunter for a layup and Printezis committed an offensive foul at the other end. Hunter scored his third bucket in the paint, but Vitaly Fridzon countered with the home team’s first three-pointer for a 23-17 lead. Hunter soared to reject Higgins, but it worked out well for CSKA when Hines dunked in the rebound. After an Olympiacos timeout, Hackett nailed a triple, but Higgins matched him at the other end. D.J. Strawberry got on the board for the visitors with a tough layup, but Hines gave the hosts the momentum with a vicious two-handed slam and foul and later 2 free throws for a 32-22 CSKA advantage. 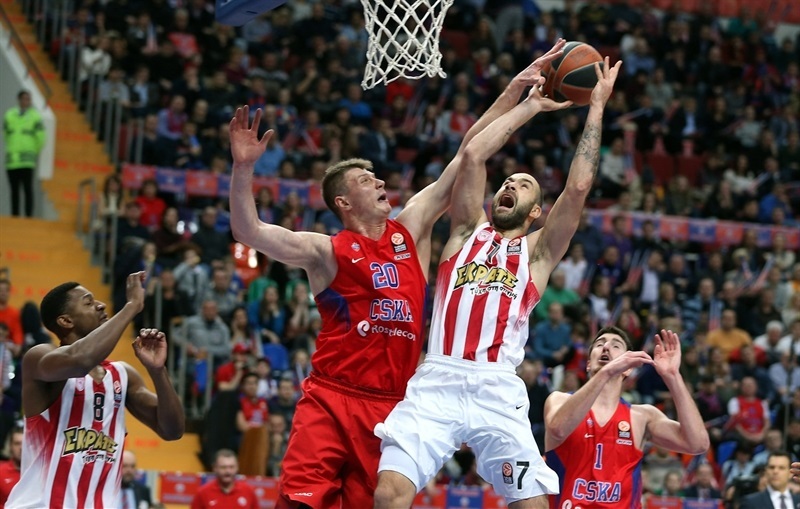 Higgins stole the ball from Spanoulis and the hosts capitalized with an Andrey Vorontsevich free throw. Printezis put back his own miss and Lojeski drilled his second triple to close the gap to 6. De Colo produced the ultimate Euroleague Fantasy Challenge play with an offensive rebound, basket, foul drawn and free throw made. Freeland restored a double digit lead with a layup plus foul. 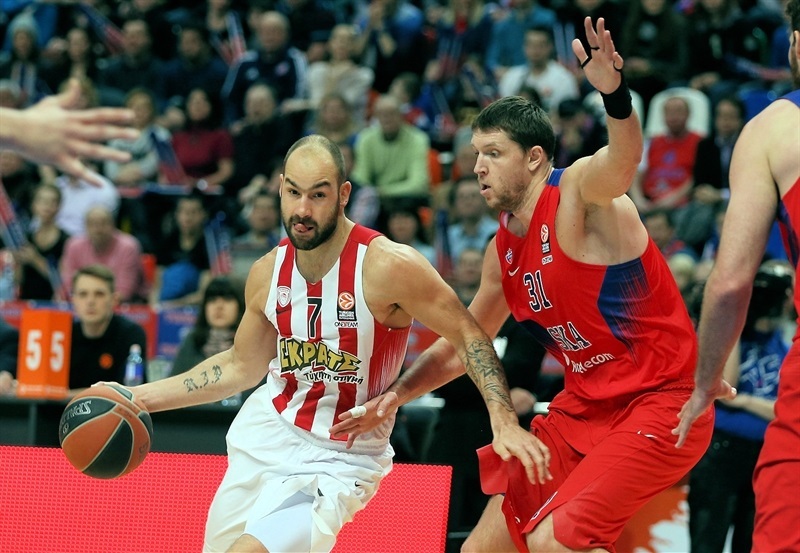 Free throws by Spanoulis and a Lojeski jumper brought Olympiacos back to life. After a Freeland slam and a Printezis floater, Higgins split free throws to make it 41-33 at the break. The Reds came out ready for the second half; Hunter scored a basket-plus foul. Then his steal led to a Spanoulis layup before Printezis tied the game at 41-41 with a triple to cap a 0-8 start to the half. Freeland and De Colo put CSKA back in front, but Spanoulis fed Hunter for an alley-oop slam as Olymapicos continue its assault. De Colo and Spanoulis traded free throws and then Jackson and Spanoulis swapped layup. Strawberry nailed a triple for the visitors first lead, 49-50. Higgins took charge with a nifty move in the paint and a three from the corner to put CSKA back in control, but Spanoulis found Hunter for another alley-oop slam. 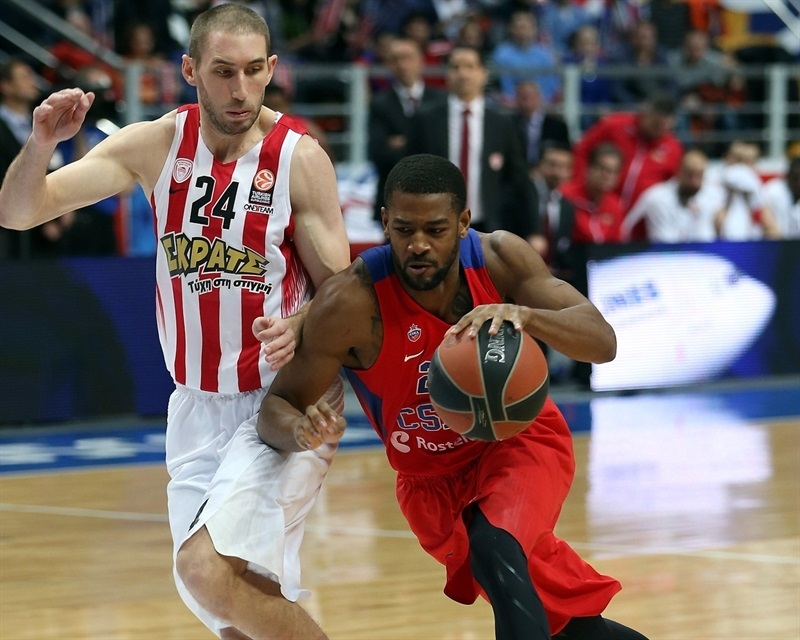 Hines rejected Printezis and Teodosic blew by the Olympiacos forward for a three-point play and a 57-52 advantage. The CSKA guard nailed a three, after which Olympiacos called timeout. Strawberry player the pick-and-roll with Hunter for a wicked slam and foul and Strawberry made it a 5-point game. Higgins and Aaron Jackson kept CSKA in charge with free throws, but Printezis sank another floater. After Teodosic free throws, Hackett’s triple ended the quarter at 66-61. 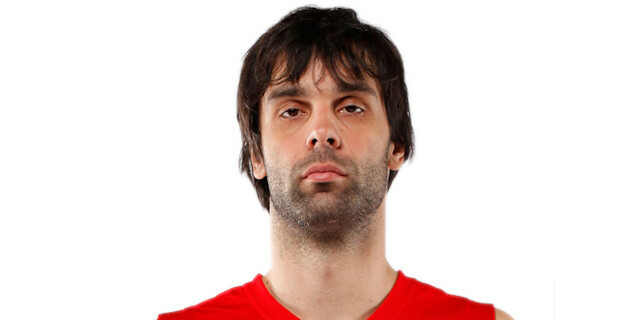 Teodosic opened the final stanza with a triple. Lojeski countered with a layup and Strawberry rejected Hines from behind. After a Printezis block on Teodosic, Strawberry raced for a dunk in transition. De Colo and Hackett traded threes to keep things close. A jumper by Hackett made it 73-70. Free throws by Teodosic and De Colo on CSKA’s next two possessions restored a 7-point advantage with five minutes to go. Hackett responded with 2 free throws, but Higgins sank a turnaround jumper. Then Spanoulis free throws were cancelled out by a Kurbanov jumper over Spanoulis. De Colo stretched the difference to 9 with three minutes remaining, but Spanoulis responded with a triple. After a timeout, Teodosic made free throws and Spanoulis split a pair. A great pass by Teodosic to De Colo for a layup was almost a dagger. Free throws by Hackett and Printezis made it a 6-point game with 55 seconds to go. A Khryapa jumper over Spanoulis all but sealed the win with 34 seconds left. Even an offensive rebound and three-point play by Printezis was too little, too late. A triple by Teodosicwith 10 seconds left all but wrapped up the win. "That was a high-intensity game with a lot of strategy. 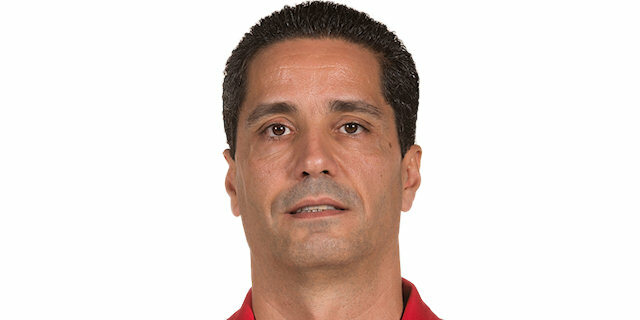 Olympiacos chose to do several things regarding who was in our lineup at the time. When it was Kyle, they switched more. When it was Joel, they played more aggressive. So the players had to be focused all 40 minutes. I really want to congratulate the players. They read the game. They really fought. We almost won all the quarters except the third one, and we gave them a lot of problems. This is a very competitive group: a lot of things can happen. We keep winning and we are going to be smarter after this one. There was a lot of strategy, from our side as well as theirs." "I’d like to congratulate CSKA for win. They controlled the game most of the game. It was a high-level, high-quality game through all 40 minutes. We played equal against a very good team in an away game, we fought until the end, we had a chance and I think the result probably doesn’t give us what we deserved in the end. I would like to wish CSKA all the best." "We knew it was gonna be a tough game. They played really aggressive. They did not let us relax till the end - till the last minute. Now we have seven games to go, so we need to think about our team." "This game was a very important win for us. Now we are 5-2 in the group. Olympiacos is a serious team. We knew they were going to come here and play tough basketball. We responded to that and we showed tonight a really good game. I want to say thank you to all the fans who came here tonight to support us." "It was an important game, but we lost it. I believe we gave everything to get the goal; we all wanted that and continued to fight. We have one more round to think about the reasons. Now we need to focus on the Greek League and after that we will face Barcelona."